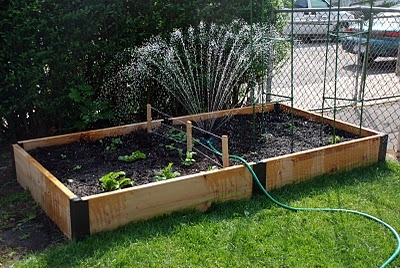 For the 7 years we have been in the US getting our "g" thing on, I have been so keen to see the home composting / commercial composting worlds get on board with our product. And then, out of the Twitterverse of all places, emerged Miriam, the Queen of Compost (she's actually a writer by trade by she does great compost). Check out her post here or just read below about her journey into making a very valuable resource out of her kids gDiapers. Imagine a world where this was the every day. I want to go there. I never thought dirt would make me so excited. A few weeks ago, I posted the picture above on my instagram feed and said: From compost to garden in 2 yrs — saved over 3k diapers from landfill thanks to gDiapers. 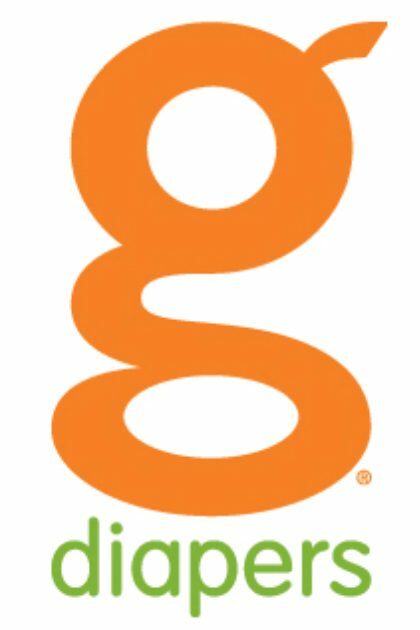 Well, Jason, one of the founders of gDiapers contacted me and asked me to share our story with him and so I decided to blog about it here. I first heard of gDiapers back in 2008, before I was pregnant with my son who is about to turn three. I believe I saw them in a Gaiam catalog at my mother-in-law's house and I immediately was taken by how great they were, since they provided a happy medium between cloth and disposables. Fast forward to the end of 2008 when I was pregnant with my son, and after a lot of research, I decided that we would go the gDiaper route. My son was born on 07-08-09 and I was petrified to use the diapers at first because it just seemed like the logistics were beyond my capabilities. But we pulled off the proverbial bandaid when he was just 9 days old because his umbilical cord fell off. The first day of use was so easy, I couldn't believe I had ever been even remotely concerned about it (though I should mention that I realized quickly that everyone involved needed to be VERY aware of how to flush a diaper since my husband came home and just plopped on in the toilet upstairs and flushed — which may or may not have resulted in an overflowing toilet and water raining down through the pot lights in my kitchen below. Oops.) But aside from that small misstep, the gDiapers were super easy to use. However, what I was still concerned about in the back of my head was composting…again, I couldn't wrap my mind around it, so I just avoided it. After a couple of months of flushing EVERY diaper (which, with a newborn is A LOT of flushes) we realized that our water bill had gone up significantly. 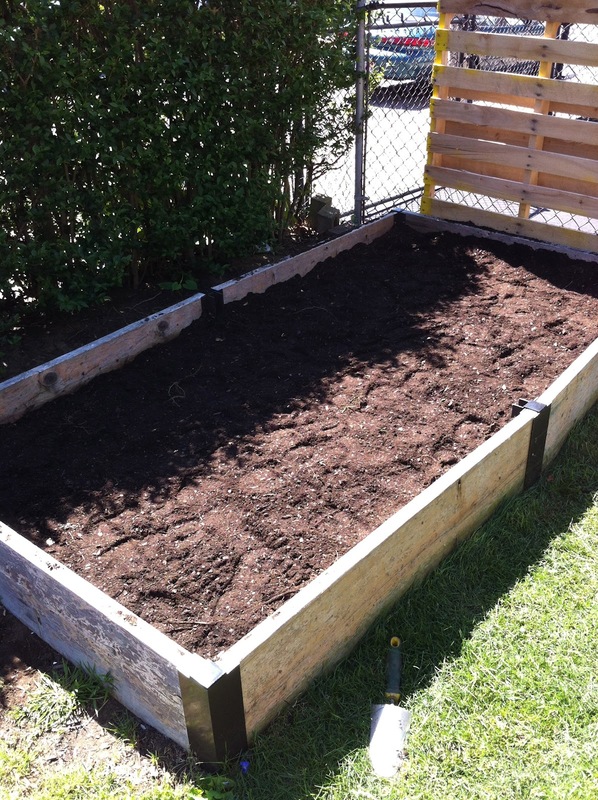 So, we decided to start composting. 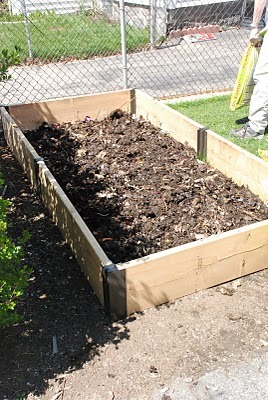 It was fall, and not the idea time to start a compost pile, but we figured it was worth a shot so we just went for it. Our town provides a basic compost bin at a minimal cost, but we knew we wanted the bins to be where the sun could hit them which mean being very close to our driveway and street, based on how our property is set up, so we opted for something a bit more attractive. From that moment on, we composted everything. Kitchen scraps, garden waste, lawn clippings, leaves and gDiapers (the wet ones only, of course) — if it was compostable, we did everything we could to get it in the bin. Because we started in the fall, the compost never really had a chance to get to the right temperature before it got covered with snow. 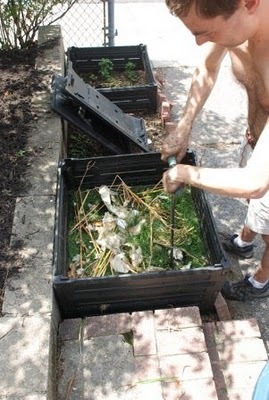 It quickly filled up, but surprisingly, every time we thought there was no way we could ever fit anything in the composter again, we would open it up and it would have compacted. Over the winter, we just cleared the top of it of snow (so we could fill it) and went from there…there were a LOT of diapers in there. I will be completely honest. We didn't compost every pee diaper — if I was out and about, I didn't save them to bring home. But we did flush every poopy diaper. In the spring, we started to clear out our gardens and added a lot more yard waste which brought the green vs. brown levels back to a more normal level. 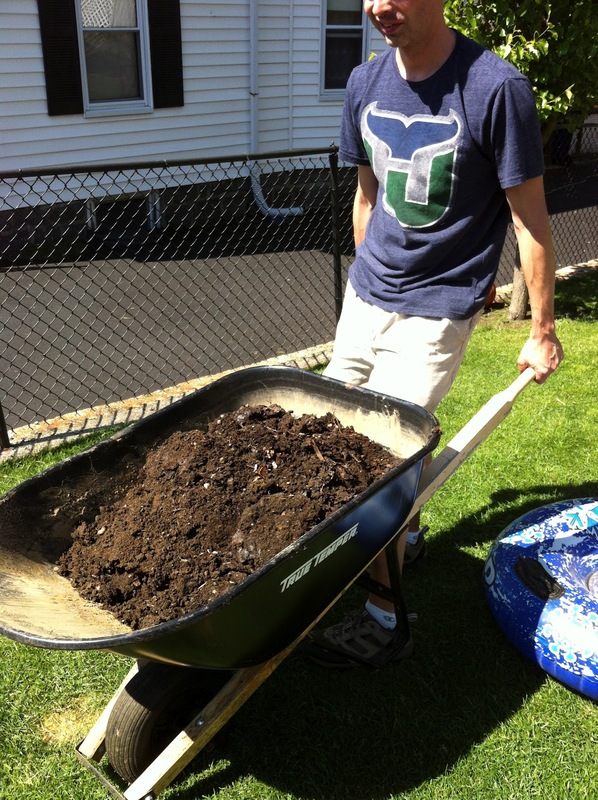 We just kept doing what we were doing and the compost kept compacting and we kept adding to it and every once in a while my husband would turn it by taking a shovel and moving it over a spot. 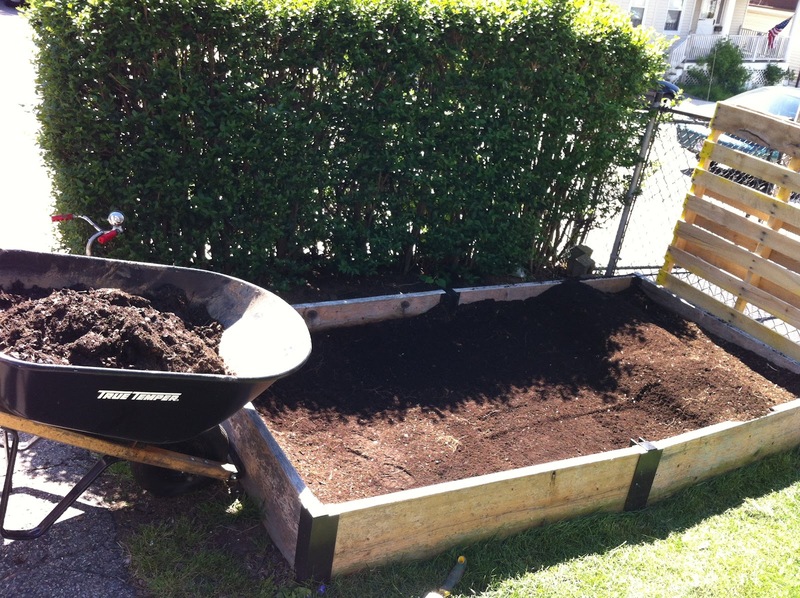 The first time we actually used all of the compost was in the late spring of 2010 – it had not all turned to 'gold', but we were able to use it as the base for our new raised vegetable bed and then we added compost from a local nursery to the top of it. 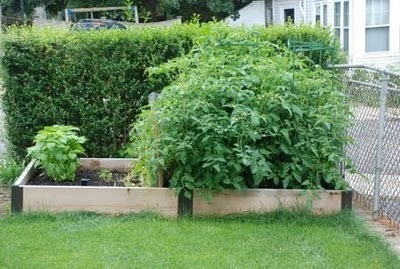 That year, we had a HUGE crop of vegetables. Over the next year, my son started daycare and unfortunately, though they allowed us to use the gDiapers, they did not save them to compost, so I know that those ended up in the landfill. Since they decompose much faster than paper diapers, I was at least pleased to know that we were doing the best we could. Our son stopped using gDiapers in the Fall of 2011 because he was potty training and his daycare required pull-ups. At home, he was in underwear. But our daughter was born on October 27, 2011 and so we started the cycle all over again. 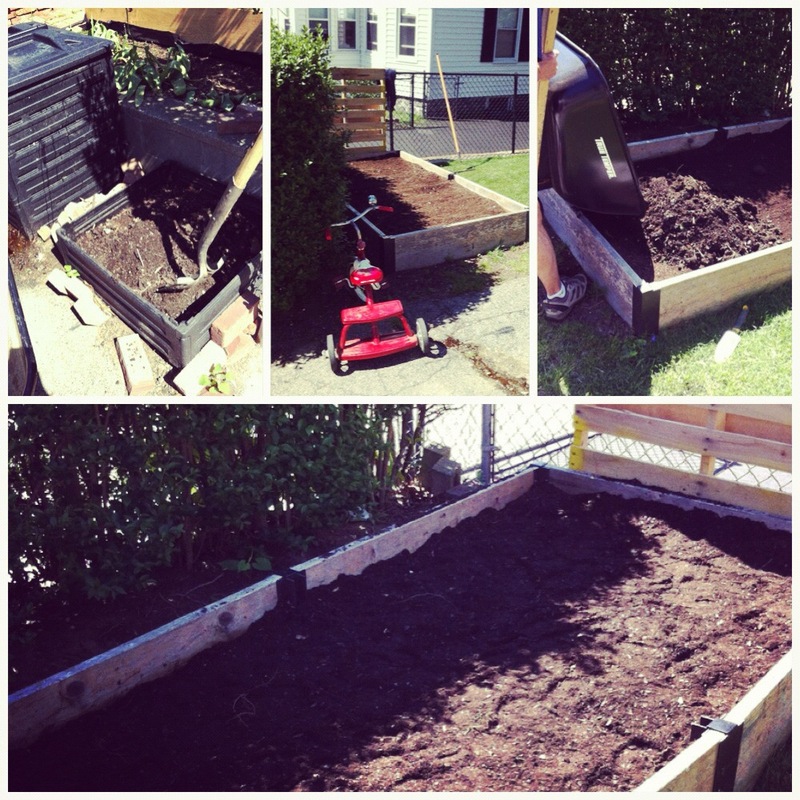 This spring, we opened up the compost bin and spread out the dirt in our vegetable garden for the second time. 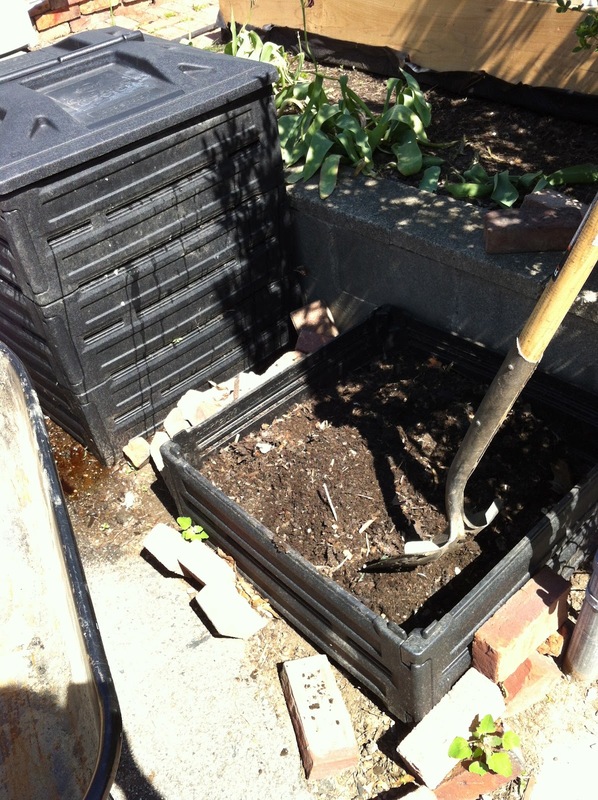 We had bought a second compost bin and allowed the original one to sit for an entire year. 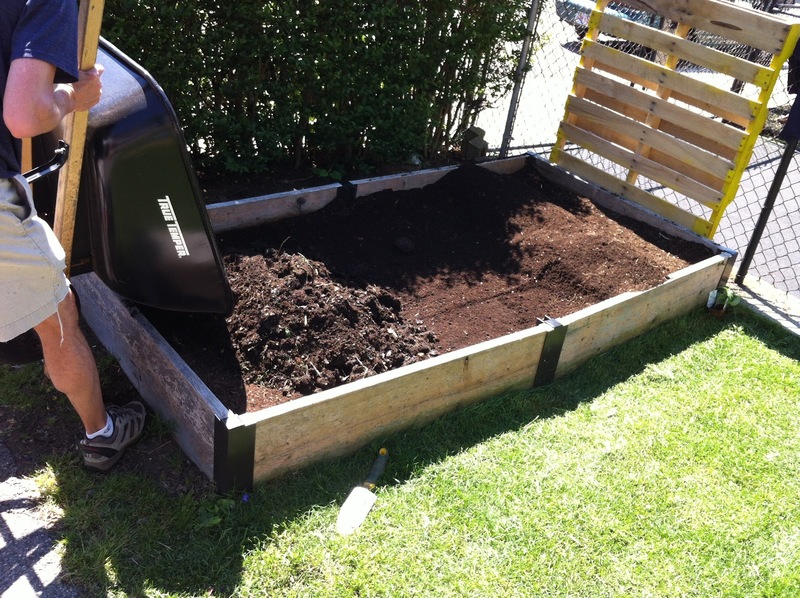 When we opened up the bin to spread it, it was beautiful, perfect dirt…nothing short of amazing!! And really, totally easy. I know I have waxed on and on about this now for a bazillion words, but really, the effort is minimal and the impact is amazing. Our son wore gDiapers for 2.5 years. Averaging around 1900 diapers the first year and then around 1000 for the second year (since he was in daycare two days a week) – that's almost 3000 diapers saved from the landfill by either composting or flushing (the poopy ones). Even with the lack of cooperation from his daycare program, that's still a big impact! !